. Closed Tags: congestion, congestion in downpatrick, st patricks avenue. Cllr Cadogan Enright has strongly criticised Council Management for wasting a unique opportunity to relieve congestion in Downpatrick. After 2 years of effort I tracked down the owner of this site, with the expectation that the democratic wish of elected representitives would be respected and this site would be brough into public ownership, and that a cycle-lane, turning lane or a bus lane would be provided at this busy junction. 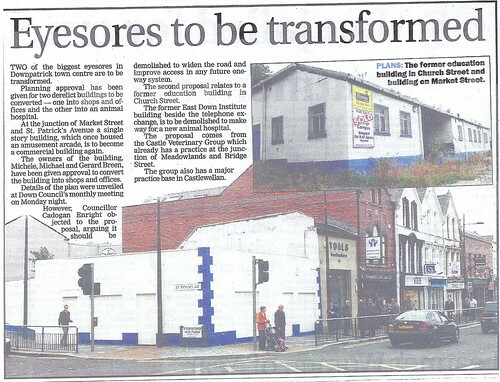 Instead management assisted in getting planning permission. This makes no sense. Anybody who has experienced traffic tail-backs from this corner back to the cinema or up to ASDA will know what I am taking about.